This is a video on roles 1 and 3 - checking and escape moves from Finland. Angle approaching at the back shoulder with "Body on Body and Stick on the Puck". Defensive angling pin and teammate pick up the puck, and on offensive angling seal the player off and take the puck. Learn to approach at the back shoulder-not the puck. On offense cut back when the player angles at the puck. 1. Angle at back shoulder, press into boards with the inside leg between the legs. 2. Angle at back shoulder, press into boards with the inside leg in front. 4. Pass to self off the boards or back of net. 5. Pass back to inside skate edge and back between the legs. *Drive to the net and use a "heel to heel slide like Crosby, Selanne and Koivu." I can't believe I haven't done a diagram for this shooting drill that I do at a lot of practices. Square up for the shot and have the stick back as the pass is being made. Follow through with the whole body to the net and the lead knee pointing to the target. 1. One leave the line and get a pass from 2 on the off wing and shoot. 2. Two leave after passing and get a pass from three. 3. Continue this rotation and progressively increase the speed of the passes. Pass back to the coach after each one of these sequences. Coach should pass to one player and after the sequence get a return pass then pass to the other player. This is a controlled breakout after a regroup or any situation with only one forechecker. 1. Coach in the neutral zone pass to a player coming from the corners. A. Player skates to mid ice and passes to partner who hinges wide and up ice. B. Player skates to wide lane and pass to partner who supports in mid ice behind. C. Player skate to middle, pass wide, get return pass in middle. D. Player skate to middle, partner skate behind for a pass and switch sides. From there any of the other options. *Pass back to the coach after each of these exercises and then add players who regroup with D.
When Ice Hockey originated in North America in the late 1800's forward passes were not allowed. The game was played with 6 skaters and a goalie. Later the Rover position was eliminated and teams played with 5 skaters. We developed playing lane hockey with the D staying back, the wings in their lanes and only the centre going side to side. The game now is developing towards "Total Hockey" where players have a Home Position at the Face off and after that it is 1-2-3-4-5 according to the system you are playing, the zone you are in and the closeness to the puck. So we have to teach all players all the offensive and defensive skills in practice. In other parts of the world the game came later. Bandy is played in Russia and Scandanavia on a frozen soccer field and has a big influence in those areas. German, Czech Republic, Austria have a huge soccer football history and in soccer and bandy they build the attack with lots of give and goes and regroups. In North America the CONVENTIONAL WISDOM is that you go in straight lines and move the puck up as quickly as possible to trap the other team. This works vs an aggressive PRESSURE forecheck and can create outnumber situations. If you are playing against a CONTAIN forecheck where the send either one or zero players in then you will not beat them to the net with straight ahead speed but have to use CHANGE OF SPEED, CHANGE OF LANES, and create situations where the defenders must make DECISIONS such as whether to switch on a cross or stay with their man. The attackers must continually go to the "Big Ice" between the dots where more attack options are possible. Create 2 on 1's continuously and regroup to force the defenders to keep a tight gap or to hit a late attacker who is skating fast vs the defenders holding the blue line. I have put some video from Swedish and the Czech pro teams to demonstrate these offensive options. * Other options are another cross behind or pass back to the 4th and 5th supporting attackers. Important is to change the speed and angle of the attack and force defensive decisions like switch or stay man to man. Make moves, protect the puck, go hard on the whistle. Designate moves, add pucks, play keepaway, use ball, multiple pucks, etc. 1. Carry a puck and protect it while skating in random directions. Stay in the zone. 2. Go hard for about 5" on the whistle and slow down on the next whistle. 3. Coach designate the move to be practiced, i.e, tight turn when you approach someone. 4. Exchange pucks-pass with eye contact. 5. Spread pucks around which also must be avoided. 6.Keepaway-coach take a puck away every 10". Use regular or small nets, tire, pylons or the lines on the boards for goals. Play with regular or modified rules. 1. Teams of from 1-1 to 5-5 play a game cross ice. 2. After a goal allow the other team to get to centre. 3. Jokers can be added who can or must be passed to. Pass while skating then turn and face the player who is passing to you. Shoot before the hash marks and follow the shot for a rebound. A. 1 pass to 2 and follow the pass and turn and face 5 for a pass. B. 2 pass to 3 and follow the pass. C. 3 pass to 4 and follow the pass. D. 4 skate in and shoot-rebound- go to the corner. # Do 2 or 3 minutes from each side. Alternate task by requiring backhand or saucer passes or a move before passing , etc. Start with a good athletic position of knee bent, back straight, seat low with the head on top of the shoulders and not hanging over the ice. Follow this instruction with 1 on 1 drills and transition games. The practice was run by Jeff Hill with a group of 12-13 year olds. 1. Hook wrists and bump standing then skating. Come back using other shoulder. B. Player in the middle bump everyone around circle with each shoulder. C. Angling both offensive with leg in front and defensive with leg behind. Get hands up on the glass to protect yourself. D. Practice skating into the corner and making a fake then carry the puck out. E. 1 on 1 into the corner and try to score. Players work on skills of their choice and the coaches role is to give help when needed and to keep things safe. Players seldom get the chance to work on things they want or to make decisions about their development. The coach moves around to help them and see they are on task. I do this the frist ten minutes of each practice with my school skills group. They know they must be on time and be on task. Players choose to shoot, pass, skate, play keepaway or games, they could even arrange a full ice game. It is an individual contract where the Players decide and the coach supplies the equipment and supervision. The coach can also suggest things for them to work on and show how to do it. It is very difficulty to practice specialty team or even strength situations with one team. Most youth teams have less than 4 lines and 4 sets of D and this makes high tempo scrimmage too difficult. Even if you do have 20 skaters the W/R ratio is too short. When I was and asst. coach at the U of Calgary with Willie Desjardins he would arrange specialty team scrimmages with the Canadian National Team which was based in Calgary at that time. We would take turns with 5 minute pplays and work on our specialty teams. The last few seasons I have arranged scrimmages with college teams or minor midget AAA teams to play my WWHL team and we have worked on our systems for both even and uneven situations. We did this at least 6 times last season and it is a great way to focus on systems for the pk, pp, forecheck, dzone etc. Divide the team into two groups and each gets a 5 min. power play with a ref. Great to play other teams in a specialty team game. Play all odd number situations 5 on 4, 5 on 3, 4 on 3. It is also a good method to practice even strength 3-3, 4-4 and 5-5. 1. Arrange a scrimmage with another team. 2. Take turns with all numerical situations that happen in a game. 3. Suggested rotation with a 3 minute time out before each segment for coach to go thru the team play situation at the bench. a. Ten minute warm up. b. 3 minute time out 5 on 4 for 5 minutes each. b. 5 on 3 each team and then 3' time out. c. 4 on 4 each team and then a 3' time out. d. 5 on 5 each team and then a 3' time out. e. Coaches agree on a situation they want to focus on. Be in a strong athletic position with the knees bent, seat down, shoulders no farther forward than the knees and the head up. The skating stride starts with a fall and about 3 forward pushes and then it is a sideways motion. When skating backwards stride sideways and don’t turn the heel to the inside. Replace the Mohawk turn with the much more efficient Transition Turn. 4. Basic backward stride and starting. 5. Transition turn from front to back that is much more efficient than the Mohawk Turn. Picture is of Gaston and Gaston Jr. At a hockey camp in Winfield B.C. Gaston Schaeffer teaches an efficient transition turn from forward to backward. The benefit of this pivot is that the player keeps the skating momentum. If skating to the right the weight is on the right leg and the left skate goes behind at an angle to the turn, the player transfers the weight to the left leg and does a crossover. Be in a good athletic positon with the knees bent, back upright and lead with the chest and head up. Use all of the edges. Gaston leads a skating warm up. Exercises use the inside and outside edges, proper body position both forward and backward as well as a one skate exercise that requires a good balance position and use of all of the edges. I have been focusing on skating technique. Most coaches, me included have many skating drills. I have posted the Minnesota drills and many from Finland and Sweden and they are great. The only problem is that if we do these with improper mechanics we only teach the kid's to get "really good at bad techniuque." So it is imperative that we have proper mechanics. I have put videos of Gaston talking about and teaching skating and I know it helps me and hope it helps other coaches. Be in a balanced position with a good knee bend. Use as much blade as possible. To start fall forward and push back the first few strides and then skate with a sideways push. The arms move opposite the legs in a back and forth motion never causing the upper body to over rotate. Lead with the head up and chest forward. I have put together various videos of Dr. Gaston Schaeffer teaching skating. Gaston has a Doctorate in Body Mechanics and taught at University in Switzerland where he was the Swiss figure skating Champion and followed that being feature skater for Ice Capades and Holiday on Ice where he toured the world. He met his wife while touring and they had a girl and a boy. Gaston was the Olympic figure skating coach for Switzerland as well as in charge of fitness for their speed skating team. He worked with Juhani Wahlsten in Davos when Juuso was coaching there. Gaston Junior demonstrates the forward stride. He is one of the most powerful skaters I have seen. He suffered a major injury at 18 and stopped playing but his techique is perfect. The video goes in this order. 1. Gaston talking about the mechanics of the forward stride while I film him on my deck. 2. Gaston and his son doing an on ice demonstration with Gaston describing the important points of the stride. 3. Gaston leads a group through a forward skating and balance warm up. 4. Gaston teaching that group the mechanics of the forward stride starting with the long stride first, then the start and the medium length stride. 5. Gaston leading a U17 skills group. Dany Heatley came and skated with them that day. He had just won the NHL Roookie of the Year. He came as a favour to me to say hi and skate about 15 minutes but because we did transition games all practice he stayed and played and did the skating as well (he has a black sweatsuit and hat on). There are probably a few months worth of Practice ideas in this video. As a 60 year old, it is becoming increasingly difficult to teach by demonstrating; not that I was ever a great skater in the first place. The plan is to watch this clip quite a few times, take notes, and break it down into smaller segments - for as Tom indicates, teaching or reinforcing improper methods is the last thing that coaches want to do. Tom - Please do not post anything else until early July so that I have time to catch up. Just kidding ! Pops, I intend to put together backward skating and turning with Gaston. He uses balls for beginners to get the feeling of weight transfer and I hope I have some of that video. I leave for Europe on Wed. morning so I don't know how much I will get done before or during my trip. I land in Vienna and then fly to see Juuso in Turku, Finland then back to Vienna for a bit and on to Salzburg where I leave Th. May 5 to come home. I am hoping to meet some of my coaching friends and other friends during my week abroad. We walk and run with a front to back movement of our legs. Skating is a foreign movement because it is side to side. Gaston uses balls and pucks to introduce beginners to the side to side weight transfer. Dr. Gaston Schaeffer introduces this unnatural movement along with proper skating posture with a sequenceof exercises using balls, pucks, hurdles, etc. The entire sequence is shown on the video cards in the Hockey Coaching ABC practice video folder on the site. It is with older players and the new video at the bottom is young players with the balls and pucks. (big guy in red and white is Dany Heatley when he was playing for Wisconsin) The video cards are at. • Walk across the ice. • While standing on the same spot, try and bend the body in all possible positions. • Walk to a puck, bend over, pick up the puck, return to starting point and repeat. • While standing try to stand on 1 foot, then the other. • Walk and then glide on 2 feet. until you have crossed the width of the rink. • Walk on the ice. stepping over the sticks laid on the ice. See how many pucks you can collect. go and collect the pucks (this forces them to bend the knees). • Combine the going over the sticks and under the hurdles, to provide a new challenge. • Introduce the tennis ball. Start by having skaters pass the ball from hand to hand while walking across the width of the arena. • Develop the glide by trying to pass the ball from hand to hand as you stride. • Introduce the bouncing of the ball while walking or gliding across the ice. • Skate backwards by passing the ball from hand to hand. • Skate backwards by trying to move a puck between your feet. • Skate forward by passing a puck between your feet. • Skate forward passing the puck between your feet and the ball from hand to hand. • Skate while passing the puck from 1 foot to the other. • Skate, passing the ball from hand to hand as you skate from 1 foot to the other. • Skate, passing the puck between the feet and the ball from hand to hand while skating forward. • Same exercise as above but backwards. • Put up some hurdles – try to jump over (4"/10 cm) some and slide under others (16"/40 cm). • To increase the level of difficulty, add low hurdles, asking the skaters to first step over them while bouncing the ball on the ice. proper skating posture and balance. ball thrown by a teammate or coaching assistant. • Same as above but upon landing turn around in the opposite direction. • Skate forward and hop over the hurdle, then fall in a roll – get up, turn around and catch the ball. • Same exercise but the other direction (turning around the other way). • Jump over a hurdle, crouch under the next hurdle then do a slalom around 5 pylons on 1 foot, then jump over the last hurdle and catch the ball as you jump. • Repeat the same exercise but doing the slalom on the opposite foot. • Skate forward and stop – as you stop, you will catch the ball thrown to you at the same time as the command. • Skate backwards – at the command turn around as your the partner throws the ball for you to catch. • Same exercise but turn around the other way. Offensive player protect the puck with the body and skates, use cutbacks, fakes, change of pace. Go into the boards at an angle, Hands up on the glass when hit from behind. Defender stick on stick, body on body and maintain defensive side always. 1. Partners take turns moving up and down the boards protecting the puck for 10". 2. One player protect the puck and the other mirror from the defensive side keeping the stick on the puck. 3. Battle each other along the boards. 4. Goalies work on technique at one end. This is the sequence I use when coaching puck protection skills and the the offensive and defensive battles along the boards. We work on escape moves, cut backs, going into the boards at an angle and protecting yourself along the boards before we do this. 1. Puck protection shielding the puck offensively and stick on the puck on defense. Partner work all over the ice. 2. a. Partners along the boards. a. cut backs, change of pace, pass to self for ten seconds then alternate. b. Protect the puck while the defender passively works on keeping the stick on the puck and on the ice. c. Ten second battles alternating who starts with the puck. 3. Move to one end and use both corners or if there is a goalie only one corner. Use the same sequence as in 2 but add go to the net on the whistle. ie. vs. passive resistance and then battle. 4. Play a d400 low game from the top of the circles in of 1 on 1 on 1. All against each other. Lots of battling and puck protection skills needed. 5. Another D400 game from the top of the circles. We had 8 at one end and 10 at the other. 2 on 2 and when you get the puck you pass to the waiting players who attack vs the original attackers. Sequence like in the Perry Pearn of attack-defend-pass-rest. New attackers go on offense as soon as the get the puck. 6. D100 game with one minute shifts and pass to goalie on the whistle. All goals must come from playes originating below the goal line. This rule causes board battles to happen and the skills just practiced are needed. I am attaching a pdf of the sequence. We did a warm up and a shootout after. This is a video example how to work on puck handling skills. Jim is working with two younger players who have very tight shoulders and are bottom hand dominant, so they have a lot of trouble moving the puck anywhere but on the forehand. He only uses two pucks and balls instead of three. With advanced players I have them start with a tennis, hockey and racquet ball and skate around the rink, after each lap I replace a ball with a puck, starting with the easiest, the hockey bakk, then the tennis and then the racquet ball and they end up with three pucks. Then two pucks, then one. With one puck they go through the entire Russian big moves warm up moving the puck all around the body and separating the movement of the upper and lower body. The exercises can be done off ice as well. Of course the speed has to be increased and it all has to be put into game situations vs. opponents. Use multiple pucks and balls to overload the nervous system and control them all around the body. With one puck over extend to increase your reach. Separate the movement of the upper and lower body, loosen the shoulders and use head and shoulder fakes. Practice moving the puck from the stick to the skates and back, as well as controlling the puck from in front and behind. 1. Handle two or three pucks at once never letting them get more than a stick length away. 2. Reach with one hand as far back and forward as possible. 3. Slalom to the right and reach with the puck to the left and visa-versa in order to separate the movement of the upper and lower body. 4 .Repeat the same thing but this time skate and power away from the puck. 5. Move the puck from the stick to the inside and outside skate edges and back. 6. Bring the puck thru the skates on the forehand and backhand. 7. Hands close together and legs wide apart and use head and shoulder fakes. 8. Toe drag and move to the forehand and the backhand. 9. Fake a slapshot and accelerate to the forehand and backhand. 10. Handle two or three different kinds of balls around the body. i.e. tennis, racquet, hockey, Keep the balls within a stick length and under control. Players should work on selling the fake, change of pace and making the goalie move first. The goalie must time his retreat into the net to keep good angles on shots and cover the goal line on dekes. Players are in the box and one puck on each blue line for every player. Player from each team leaves the box and tries to score. If they score they race to the box and touch the boards and then the next player can leave. Max 3 shots and then they must change of the go with another player. First team to score with all the pucks wins. It works better to put the pucks on the blue line than in the middle as in the diagram. To make it realistic the goalie should practice starting from the goal line and coming out. Most players have to coast before passing or shooting. In this exercise the players must keep their feet moving. It is important to keep the stick square to the puck and the hands away from the body. 1. Leave 2-0 from each corner and allow the players in front 2 or 3 passes before starting. 2. Pass while skating they can be one touch or two touch then pass. 3. Shoot before reaching the hash marks and rebound. 4. Switch sides with the inside player going to the outside when you go the other way. 5. Switch corners after a few minutes so the goalies get shots from the other side. Stress shooting out of the stick handling motion while skating. Start stationary and then skate back and forth across the ice. Shoot the wrist and snap shot off the inside foot and the slap shot off the outside foot. 1. Demonstration with the players watching while standing on the blue line. 2. Players spread around the rink and shoot at the boards. 3. Players skate across the ice and back and take a shot on each side and follow the shot for a rebound. 4. Progress through the shots in this order. 1. wrist shot. 2. snap shot 3. slap shot 4. Backhand. 5. Coaches give individual help and the players gather to watch a demo as each shot is introduced. The players in this game are only 9 years old. It was the first day of a long weekend and only half the players were at practice. They played 3 on 3 at one end. This game is a good way to coach 'How to Play'. Little kids tend to stand still waiting for a pass and when this happened we paused and discussed getting open and giving a target while facing the play. Often they think that being alone is being open and don't think of the defenders the passer must pass through to get them the puck. On defense puck watching is the norm as well as everyone following the puck all over. We stopped a few times to point out having one player on the puck carrier and everyone else covering someone. With more players the jokers could be players and they could rotate in and out every minute. We played a three game series and one team won 2 games to 1. Move quickly from defense to offense by passing to a joker and then open for a pass. Coaches can be Jokers and give the players tips on getting open or other game play concepts. 1. Jokers in each corner and at the blue line. 2. Play a game where you must pass to a joker before you can score. 3. Jokers pass back to the team that passed to them. I have redone and updated the file section on ABCDE drills and games, Transition Games, Teach the Game on Ice. Each pdf has many drills and games with diagrams and most have video links showing the activities with kid's, university and pro teams demonstrating. A activities include teaching skating and basic puck handling at the beginning level and doing the same skills with more speed and complexity at the more advanced levels. 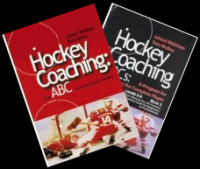 In the Hockey Coaching ABC method we organize the drills and games according to where the players start and whether they are working on skills or game situations. B drills work on individual skills up to a 1-1 and team play without resistance. This method makes it easier for a coach to find a drill to work on the skills he/she wants to focus on. These drills are from the B practice formations. Individual offensive and defensive technique, partner practice and offensive and defensive team play play are practiced. These drills are used in youth hockey to teach the skills and in more advanced hockey for review and practicing doing skills at full speed. There are about 120 drills posted. All have diagrams and most have videoes. It took hundreds of hours to put this together; There are drills from almost every hockey nation and many show international coaches running the drills. B3-individual skills practice lined up opposite each other. B4-full ice skills and partner practice from a line up in the middle. B5-individual and team play from the middle circle. B6-drills starting in the corners, these can be half or full ice. B600-players start from the blue line on each side and do passing and game situations in the neutral zone finishing with shots. These are full ice game situation drills starting from the C1, C2 or C3 formations. Individual technique and team play drills can be run effectively from this formation and situations from a 1 on 1 to a 5-5 can be practiced. The core of the entire ABC coaching method is using GAMES TO TEACH THE GAME. Hockey is a GAME and it is critical to practice the important individual and team skills that players learn in the A-B and C drills. These drills isolate individual or team play situations that can be used to be successful in regular games vs an opponent. If we just teach drills that teach the What and How of a skill and never put the skills into game situations where the player must decide Why, When and Where the skills are effective then we only produce players who have skill with no context to use them in. So small area and full ice games in practice are a critical step if we want to develop creative players who are independent decision makers. This pdf gives the rational from the ABC's program and many full ice and SAG games that can be played to "Learn the Game." 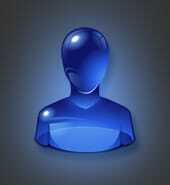 New games that I have posted on this site are included with the original material. This is the most important posting I have made on this site. E activities are usually used at the end of practice. Many shootouts and contests can be done. They must also constantly transition through the 4 Game Playing Roles of: 1-Player with the puck, 2-Players supporting the puck carrier, 3-Player checking the puck carrier, 4-Players covering attackers away form the puck. I have gone through the posting about how to teach the various playing roles during practice. This pdf combines the four game playing roles and many on ice drills with pro and college teams that show how elite coaches run effective teaching practices. T is the code for on ice activities with a lot of instruction. Goalie vs Goalie and Team vs Team. Attack with speed and shoot to score. Goalie focus on the shooter then play the pass or rebound. Keep the puck alive after it is frozen. 1. Two players leave from each team. 2. Only one pass is allowed in the offensive zone. 3. Both players must score. 4. After the first goal get a new puck. 5. Stay in the zone until you score. Goalie shoot frozen pucks to the side. Rule: Score on first shot then no laps. Score on second shot one lap. If it takes three or more shots to score two laps. Losing goalie one lap. My skills class only has 4 sessions left so I want to review the skills and strengthen the HOW TO PLAY concepts. I do many things that most coaches don't focus on such as loosening the shoulders so you can handle the puck all around the body and I also move skills into game situations. 10' - individual choice. The older 6 players took shots on net and the younger 6 played 3 on 3 in one zone. D4 games at each end. Both teams shoot on the same goalie but they have to clear the zone and then attack onside before they can score. -Game one - everyone must skate backwards all of the time. -Game two - flat footed skating. The skates cannot leave the ice the toe out-in motion promotes unlocking the hips and two footed skaing is a very solid position in crowds. -Game three - half shaft hockey where the players top hand is half way down the shaft. This is to promote a deep knee bend. B6 Figure 8 in each of the 3 zones to promote loosening the shoulders and handling the puck on both sides. a. puck is only on the forehand side of the blade. b. puck is only on the backhand side of the blade. c. transition skate facing the far end - one circle forward and one backward and then finish with a shot. Go to new corner. d. fast forward moving the hands and the feet all the time - great for crossovers both ways and loosens shoulders. e. fast backwards moving the hands and feet all the time with two hands on the stick. - Game one - one pass in each zone and everyone must score before you can score a second goal. - 2-0 both must score. Only on pass allowed inside the blue line. - score first shot no laps, second shot one lap, three or more two laps. I told them that they are playing THE GAME much better than they were earlier in the year. Which they are. This is a good flow drill I picked up from Rick Alexander who I coached a Polish U16 team with today. Make good passes. Give a target and skate into the pass. Keep skating while passing and shooting. A. 1 skate and pass to 2. B. 2 skate to the inside and pass to 1. C. 1 pass across ice to 4. D. 4 pass to 3. F. 1 attack the net and shoot to score and rebound. Rotation: 1 replace 2 who replaces 3 who replace 4. Options. screen after shooting or curl back to rebound for the next shooter. Another option is to one touch pass with the next shooter so he can do a one timer.